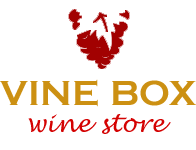 Vine Box wine store is offering handpicked selection of well-made and fairly priced wines. Vineyards: The grapes come from our 98 acres vineyard, located in the Uco Valley, which is over 3.600 feet above see level. This region has a desert climate with 320 days of sun exposure a year and big temperature amplitude between day and night that reaches 30°F in summer. The soils are sandy and the water comes from the snow of the Andes Mountains by irrigation. All these exceptional conditions allow a perfect ripening of the grapes. Winemaking: 15 days of fermentation between 25 – 28 ºC. Aging occurs in American and French oak, for during 4 to 6 months. Tasting notes: Color: Dark red colors with violet hints. Aroma: Rich and strong aromas, including scents of ripe fruits, plums, black cherry, black currant, chocolates and violets. Flavor: Well balanced acidity and a long finish. Good structure with soft tannins.